Delivering Outstanding Customer Experiences is our mission. We want to thank you for recognizing our efforts. Not only do we think we have Louisville’s best replacement windows and doors, we think we have the best design consultants and installation pros. Based on some of the hardware we’ve been collecting, it seems you agree. Door Store and Windows has earned Marvin Windows and Doors 2016 President Award for outstanding achievement in sales and business development. Marvin honored only 25 of the best replacement window and door dealers in the US with the President Award in 2016. Marvin acknowledges Door Store and Window’s commitment to supporting our local customers. 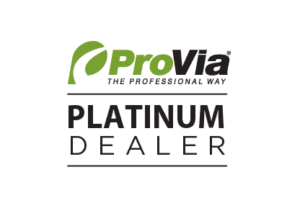 Door Store and Windows has been named a Platinum Dealer by Ohio-based door manufacturer ProVia. This performance-based recognition program honors the best replacement door contractors who have demonstrated the highest level of knowledge and commitment to sales and installation of ProVia door products. Door Store and Windows has earned the service industry’s coveted Angie’s List Super Service Award, reflecting an exemplary year of service provided to members of the consumer review service in 2016. Door Store and Windows also earned the Angie’s List Super Service Award in 2012, 2013, 2014 and 2015. Click here to visit our Angie’s List page. NOTE: Viewing ratings and reviews requires subscription to Angie’s List. We were voted by the Houzz community as a winner of their Best of Houzz 2017 Design award and their Best of Houzz 2017 Service award. Houzz.com, one of the leading web resources for home remodeling and design, is the easiest way for people to get the design inspiration, project advice, product information and professional reviews they need to help turn ideas into reality. Click here to visit our Houzz.com page. We are an Accredited Business with the Better Business Bureau and have an A+ rating. In addition, we’re proud that we have never had a negative review on BBB since our accreditation in 1999! Visit our BBB page by clicking here. With more than 60 customer-supplied testimonials on our website, you can see just what we do to make our customers happy and provide them with the best replacement windows and doors. Read through a few and you’ll quickly find out that we will make your experience a great one. Trust your next window or door replacement project with us and we’ll make sure you have an outstanding experience. It’s our guarantee!